With Halloween around the corner, you better be prepared for the year’s most anticipated costume celebration! But don’t feel you need to fully jump on the bandwagon with the traditional red, blue, and gold ensemble. 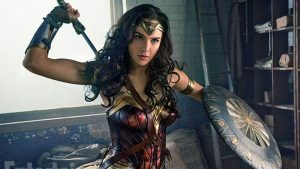 Try doing a ‘dark Wonder Woman’ version that will exemplify the character while giving the costume a unique, Halloween twist. Keep the traditional Wonder Woman silhouette, but wear an all black version: Black headband, dress, boots, and wrist cuffs. And don’t forget your black dawn of justice sword. If you don’t like to get into the full Halloween costume vibe with the crazy makeup, wigs, and the like, a black cape is a great way to dress up and get in the spirit, while still looking like yourself. 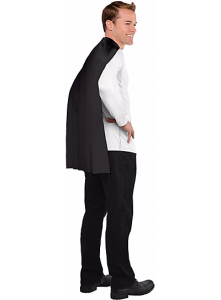 For guys, wear some nice black pants and a button-down, throw on the cape, and your good to go as Dracula. Or, if you want something cooler and more comfortable, a pair of distressed black jeans and a retro t-shirt can provide you a modern, edgy version of a Halloween vampire. Everything 80s is back (and has been for a while now), but the Bob Ross costume is very 2017. Don’t think that this costume is only for guys. Girls can wear the 70s afro and beard combo, too. 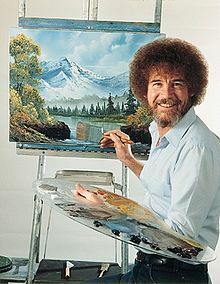 Then all you need is a light blue button down, some Levi’s, your paint palette, and you’ll be ready to make everyone reminisce about their favorite soothing television artist. 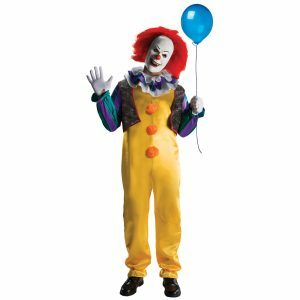 Since the horror movie It has been such a huge success, you will probably see many versions of Pennywise the Clown. This costume is for those of you who really want to play around with colors, wigs, makeup and not only take your costume to the next level, but really get into character. Get creative and develop your own version of your inner evil clown. 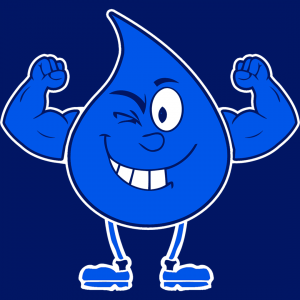 For the epitome of practicality, originality and fun, you can dress up as the Water Amigo, our cute, winking blue mascot this Halloween. All you need is a bright blue outfit, a few car wash props, and some practice flexing your biceps. Download our MobileWash app in the App Store or Google Play and make sure to book an appointment to have your car clean and ready to hit the town this Halloween.